– This tea can be sweetened using cane sugar. The taste can be enhanced with lemon and honey. » Is it safe for children? 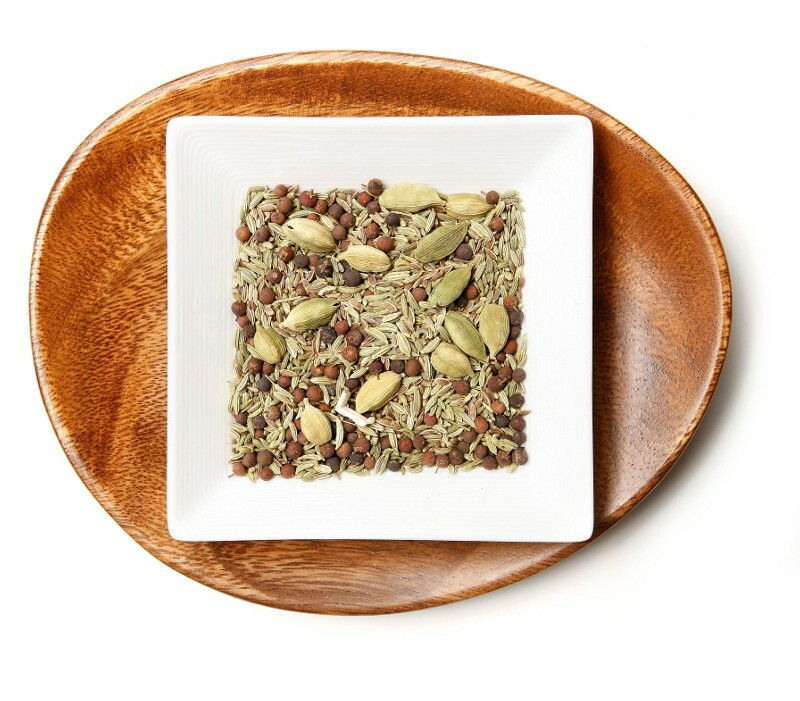 – Yes, Most ingredients in this tea are used in the preparation of gripe water for colic. This tea is safe and recommended for babies and children over 6 months. » Are there any warning/precautions? – Please consult your healthcare provider before using if you are hypersensitive to ragweed pollen. Do not use if you are pregnant or nursing. I will try just about any tea or tisane at least once. Eventho I might not usually ‘go for’ one or more of the ingredients in a tea/tisane – doesn’t mean all is lost. I have had many wonderful teas that have included an ingredient that I thought I didn’t like (such as Chamomile or Hibiscus). Many delightful teas and tisanes would have gone undiscovered to my palate had I not thought outside the cup and opened up my mind. For this reason – I will usually try nearly any tea that I come across. I’m a firm believer in “you never know unless you try”. At first glance, this was one of those tisanes. I scrunched my nose and made a funny face while reading the ingredients but the first time I tried this – I was drinking it after eating some ‘heavy foods’ for lunch that day. You know…the ones that taste really good while your eating and shortly after they hit the bottom of your stomach they just seem to sit there? I figured it was the perfect time to try a herbal tea with the ingredients known for their digestive properties! I’ll be honest, at first, I was taken back by the scent! It was Fennel, Fennel, and MORE Fennel. And I mean REALLY Fennel to the nose! I could also smell a good deal of Chamomile. This was true to what the box claimed tho. This ‘steeps’ into a yellowish color – not too rare for an herbal, but I think the brightness of the yellow is what caught my eye. I’m not going to lie…at this point I was getting a little afraid about what this one was going to taste like based on the smell! It ended up not being what I expected…but in a good way! Much to my surprise the Fennel ‘hushed’ the Chamomile down to where it was tolerable. After I gave it a few more sips I realized that the Fennel and Chamomile pairing joined forces to create a different sort of taste – one all of it’s own. This impressed me! The After taste was that of Fennel changing into the Dill. The Dill is what seemed to linger for me. This was very unusual but this too impressed me. I’m not saying that this is in my top 10 percent of all-time favorite teas but I very much appreciate the fact that it is different than any other herbal tea I have ever had before. This is certainly worth a try. Especially if you like Herbals or if you are looking for something with a different sort of a taste. Another thing I would like to mention about my experience with this tisane is that I found letting it cool at room temperature for about 3 or 4 minutes made quite the difference. The more I sipped on this the more I seemed to like it. The more it cooled I also enjoyed it more. I stress COOLED, tho, because I did try it cold and iced and I didn’t like it as much but cooled – just for even a few minutes – it was pretty good. I also like this tea because I have a lot to say about it…as you can see. Those types always seem to interest me in one way or another. A conversation-piece…if you will. I also have to point out I LOVE the name of this company and their logo! They have a wonderful website, too! In closing, I just want to say that I found this tea interesting, pretty good, surprising, and impressive on many levels. It’s different and good for you! In my book…those components are always a plus! If you come across this one…give it a whirl!